ATIZ signs Reseller Agreement with NMS Imaging. New alliance will create a comprehensive Library Book Scanning solutions provider for Libraries. Silver Spring, MD 09/19/2018 – ATIZ a world leader in Book Digitization Solutions for Library announces the introduction of NMS Imaging of Silver Springs, MD as their USA partner company. 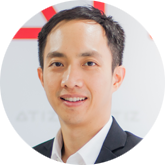 Sarasin Booppanon, ATIZ CEO said, “NMS Imaging has a long-standing reputation as a leader in Book Scanning, micrographics and document management solutions. They have gained the trust and respect of many commercial and Governmental Agencies due to their personalized execution of complex projects and long-standing record of providing great service to their clientele.” This alliance will increase exposure in many different segments for ATIZ. We are proud to introduce our high-quality scanners and new technology in software systems to compliment the suite of full products offered by NMS Imaging. Stephen Dring, President and CEO of NMS Imaging comments, “Many customers have been asking NMS Imaging for high- end Book Scanning solutions and prior to our partnership with ATIZ, we haven’t had a viable solution. Now, we have the best- of-class ATIZ products for purchase for all of our clients. The ATIZ partnership fills a huge void in our product offering and gives NMS Imaging a strategic advantage by expanding our sales of products and professional services. ATIZ scanning technology has tapped into some of the most prestigious scanning projects in industry. NMS has an extensive client list including the National Institute of Health, the Library of Congress, the Supreme Court of the US and the Department of Health and Human Services. ATIZ is a world leader and the pioneer in book digitization solutions. Incorporated in 2005, ATIZ was established to give the library market a high-performance alternative to existing technologies. ATIZ’s innovative book scanning solutions dramatically reduce overall conversion time and project costs. ATIZ designs BookDrives, the world's best book scanners. ATIZ popularizes the V-shaped scanning solution that is widely embraced by competitors in the industry. Since 2006, the BookDrive line of scanners has been placed in over thousands of organizations ranging from the world's most prominent academic libraries, universities and service bureaus worldwide. Incorporated in 1971, NMS Imaging helps Commercial Businesses, Government Agencies, and Organizations optimize their business processes. The company's expertise involves developing systems that integrate document images, data resources and workflow technology into powerful information management tools that will achieve real measurable benefits. Their expertise, methodologies and business practices have allowed organizations to implement solutions in a timely manner and derive the best value for their budget. NMS Imaging also proudly represents ATIZ, nextScan, Konica Minolta, Kodak and ST Imaging for high quality Book Scanners, Micrographics, Document Scanners and Desktop Microfilm Scanners.